Following the latest trend of 18:9 display, the device comes with a price tag of Rs 7,999 for the 2GB RAM, Rs 8,999 for the 3GB RAM variant and Rs 10,999 for the 4GB RAM top variant and 64GB internal storage for Rs 10,999. Xiaomi has recently launched its latest smartphone, Redmi 5 in India. 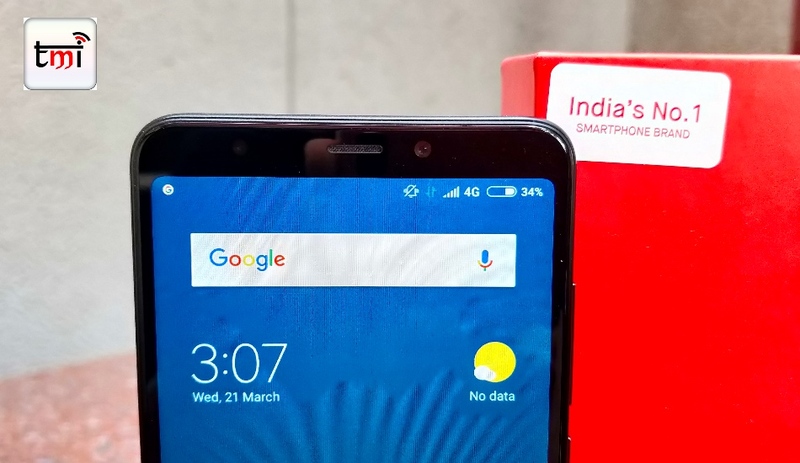 It is following the latest trend of 18:9 display and comes with a price tag of Rs 7,999, Rs 8,999 and Rs 10,000 for 2GB, 3GB and 4GB variant respectively. While the company has the Redmi Y1 and the Redmi Y1 Lite series in the same price category, the Redmi 5 is essentially for those who want 18:9 aspect ratio display along with some solid specifications. So let's find out, will it be enough to make a long-lasting impression in the Indian market? We got the chance to spend some time with the device and here are our first impressions. The Redmi 5 is approximately 2 cm taller than Redmi 4 and features a 5.7-inch display. We have checked out the black coloured unit, however, the smartphone is also available in Gold, Rose Gold and Blue options. The device has a noticeable ergonomic curve which gives it a premium feel. The smartphone features a 5.7-inch HD+ display with the screen resolution of 1440x720 pixels. The Redmi 5 spots some huge bezels in the forehand and chin area. 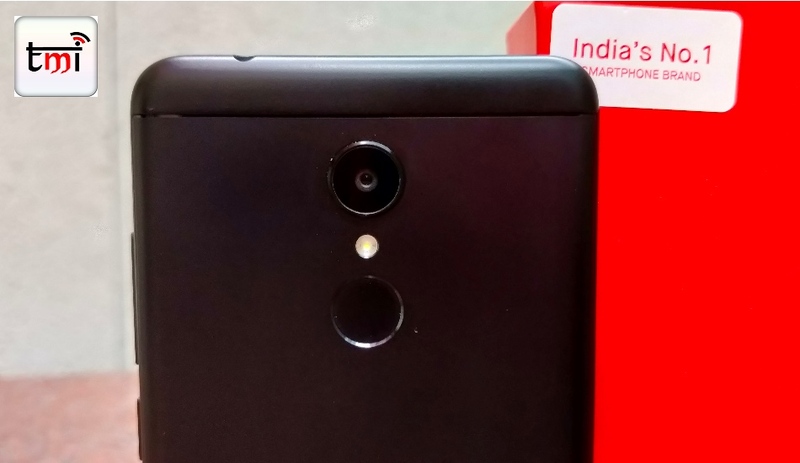 Further, the top region has the earpiece, selfie camera, LED flash and the proximity sensors, while the bottom gets the on-screen navigation controls, replacing the physical controls which were seen in Redmi 4. 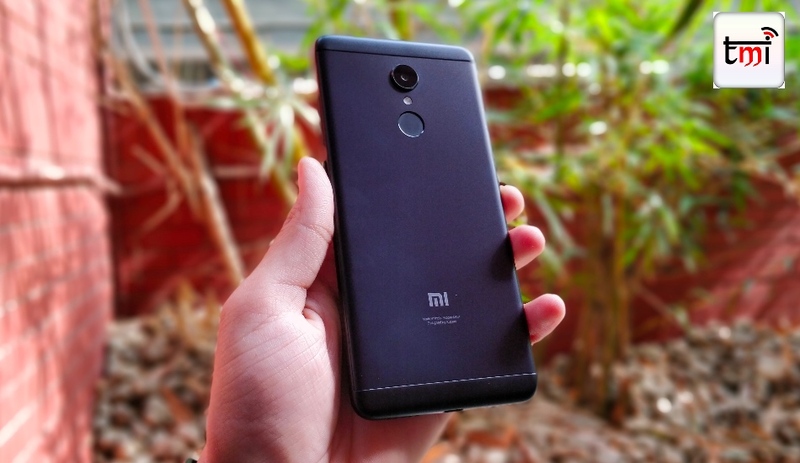 Moving to the back panel of the handset, it is equipped with a single rear camera aligning with the single-tone LED flash, fingerprint sensor and Mi branding at the bottom. The right houses volume controls and power on/off button while the left sports hybrid dual-SIM slot. At the top of the Redmi 5, you will get a 3.5mm headphone jack along with IR blaster, while the bottom of the phone has micro USB port with the speaker and microphone grilles. The display of the smartphone is protected by a 2.5D curved Corning Gorilla Glass, thought the protective glass is unspecified, but assume it to be Gorilla Glass 3 which should ideally prevent it from getting scratched in your pockets. During our initial testing, we found out that the display does offer some vivid colour outputs and contrast ratio, with impressive viewing angles. Diving in the specifications bucket, the Redmi 5 is powered by a Qualcomm Snapdragon 450 octa-core processor, the platform uses the 14 nm technology along with the Adreno 506 graphics. The phone is backed by a 3GB of RAM and 32GB of internal storage, which can be further expanded up to 128GB via micro SD card slot. 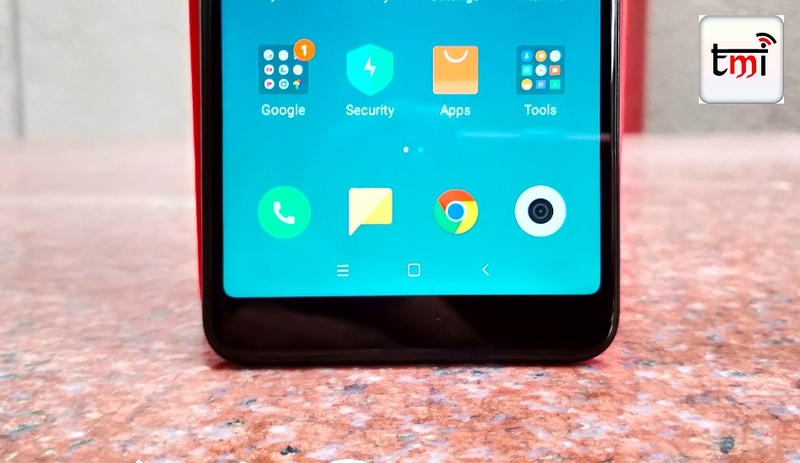 Under the software section, thought the smartphone comes loaded with MIUI 9.2, but it is still on Android 7.1.2 Nougat which is disappointing, because Google has almost announced the Android 9, so Xiaomi could have pushed out the device with the Oreo 8.0 like other smartphones - Infinix Hot S3 and iTel A44 Pro which fall in the same price category. Further, the device comes with the set of preloaded Xiaomi apps and various tools. One will also get features like parallel space or clone your applications, which will allow the person to operate two WhatsApp or any other account simultaneously in the same handset. We will discuss the performance of the device in our detailed review will be up in next few days. For selfie enthusiasts, the smartphone is equipped with a 5-megapixel front-facing camera with a LED selfie flash. It comes with features like, beautify 3.0, selfie countdown, face recognition and records video in the 1080p/720p format at 30fps. In our initial testing, we found out that the selfie camera does a pretty decent job of capturing natural-looking selfie and the detailing in the photos was satisfactory. On the other hand, the rear camera comes with a 12-megapixel sensor with PDAF and LED flash. The camera feature an aperture of f/2.2 along with the pixel size of 1.25μm. The feature looks promising and we will test both the cameras under different lighting conditions in our review. The Redmi 5 houses a 3,300 mAh battery that is claimed with 477 hours standby time. Further, the Xiaomi does not offer the fast charging capability in the handset. On the connectivity front, the smartphone supports 4G VoLTE, Wi-Fi 802.11 b/g/n, Bluetooth 4.2, GPS/GLONASS, 3.5mm audio jack and micro USB port. 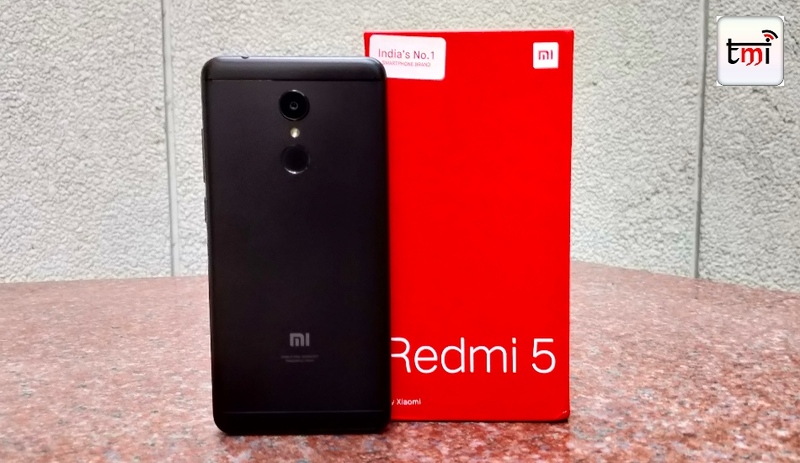 Tags: Xiaomi Redmi 5 Xiaomi Redmi 5 price Xiaomi Redmi 5 specs Xiaomi Redmi 5 features Redmi 5 Xiaomi smartphones Xiaomi Redmi 5 first impression.